ELLIS BOAT COMPANY is a company with a rich tradition and history in Maine boat building. Bunker and Ellis began building custom wooden Lobster Yachts in 1945. 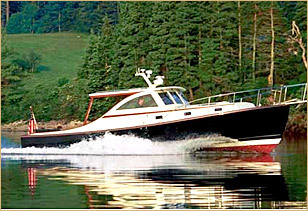 Today, Ellis Boat Company continues to build traditional style Downeast powerboats.